Reason 4, Electronic Music Sequencer from PropellerHead in the Reason series. Where do I start. Well, the unpacking was harmless and it was easy to install. You have a registration card sent with it that is important to keep at all times for the unexpected hard drive failure. Config was fine and it automatically picked up my MM6, Keystation, MPD24 and Firewire Mixer. It was easy as can be to get started. The typical functions are all present, and the settings are extremely simple to adjust, with all settings being in one settings window instead of many different settings scattered around. My configuration of a Firewire mixer which could stand in for a card or interface, anything that can be plugged into the computer using a USB or Firewire cord, was seamless into Reason. Any MIDI controller I've used works, and I've yet to have any problems. If it detects a problem with your config, it'll tell you so with a big red X. If it's all good, then it'll display a big green check. Anything that failed during production and plugged back in didn't require a restart of Reason like FL Studio or Cubase. 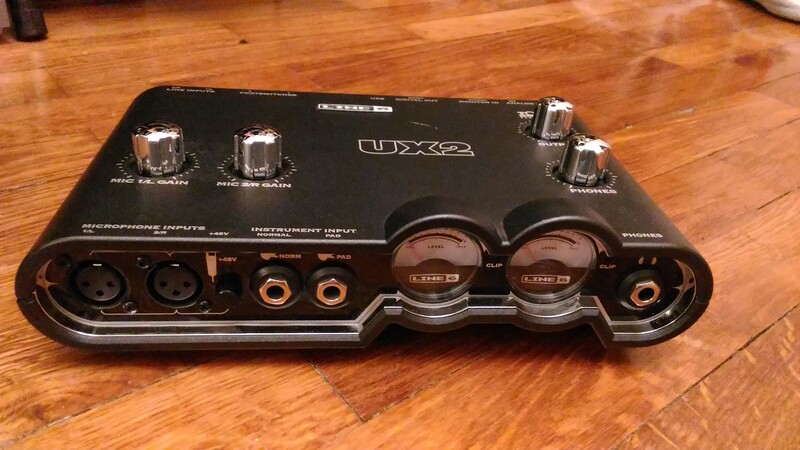 I've been using this configuration with the exception of the Firewire mixer being swapped for an X2u since I got it. What I like most is the quality of the sounds. They sound fantastic, and you can find packs in the Sound Bank that suit any need. Thor is also a great addition, something that wasn't present in Reason 3. I also like the combinators, which provide for easy mixing and easy packaging of otherwise complex setups and instruments. What I don't like about Reason is the lack of VST or VSTi compatibility. This is really annoying, as you have to use stock Reason mixers, delays, reverbs, compressors, and so on. This is a huge limiting factor, but it's understandable that PropellerHead wants people to buy their add-ons, ones which are the only add-ons compatible with Reason, called ReFills. After using it for two years, I would still buy Reason. It's a great, intuitive program, and I wouldn't have it any other way. I wasn't involved with the installation process of Propellerhead Reason 4 as it was already installed on the machine that I have run it on. Although I can't say anything about installing it, I do know that there haven't been any problems running it since I have been using it. The interface of the software is reminiscent of Reason 3.0, but in general it looks a lot more modern and there are a ton of new features to play with. I find that it is overall easier to use than 3.0, but it did take me a little while to get used to the switch. The manual for the software is put together well and is definitely helpful to have around when learning how to use this. I have used Propellerhead Reason 4 on an Apple G5 desk top that usually runs with a Pro Tools HD system. This is a very powerful set up and is more than capable of running this program. If you are running a lesser system, it may vary on how well this runs on your system. It really just depends on your personal set up, but if you are running Reason 3.0 or another sequencer in the vein of Reason already, I think that you should be able to run this software without a problem. 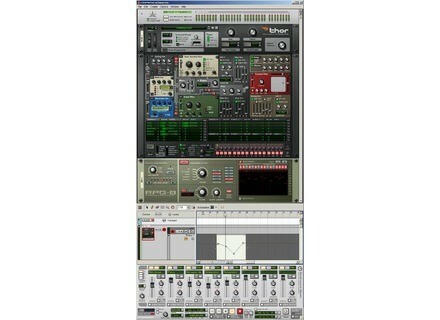 Overall, Propellerhead Reason 4 is a lot better than 3.0. If you aren't familiar with either of these, Reason is overall a very powerful piece of software and is an almost perfect all in one stop for making MIDI music. The sounds are quite realistic and varied and of course you can always make your own sounds and import them into this. My favorite feature of Reason 4 when compared to 3.0 is the addition of the arpeggiator as you can really get some interesting tones with this. The price of this version of Reason I believe is the same as it was before, but this time around you are getting a lot more value. All in all, if you are looking to get into making music with MIDI, Reason 4.0 is one of the best sequencers that money can buy. - Did you have any problems during installation? I just copied and pasted the original folder of the DVD into the Applications folder of my Intel Mac. No problems whatsoever... But Reason 4.0 replaced my previous Reason folder. If you saved your Refills (Reason's sound banks) in this folder, the update will delete them and you'll have to install them again... And it's the same with v4.1. - Is the user's manual clear and comprehensive? Comprehensive manual. The software is easy enough so you won't need the user's manual in the beginning. But if you read it you'll learn lots of tips and details you'd never learn on your own. - Which computer system do you use? - Does the software work correctly with your setup? My system allows me to easily work with very large projects. With a less powerful computer (my old Power G4, for example) you'll feel frustrated because the program is very resource demanding. However, Reason's main advantage is still its low CPU consumption, which allows you to capture your ideas on the fly even if your traveling with a laptop. - What about the hardware+software configuration stability? Reason for Mac is just the most reliable music software I know. Propellerhead's ads don't lie: no-bug warranty! 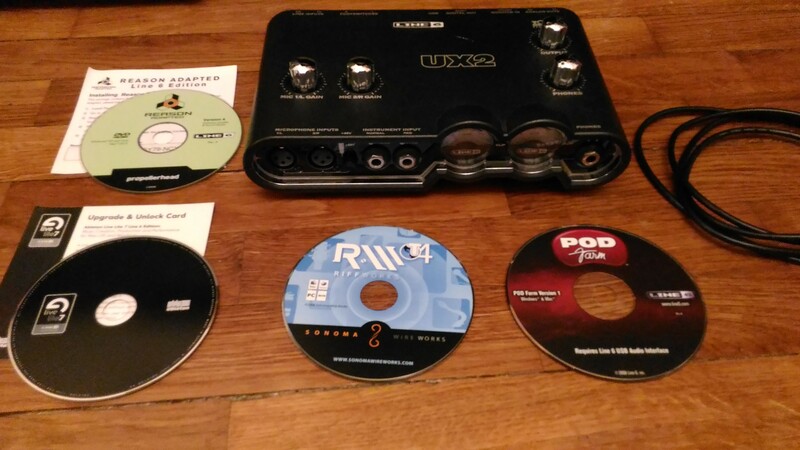 I've been using Reason since it's launch in 2001. I've experienced its whole development firsthand. 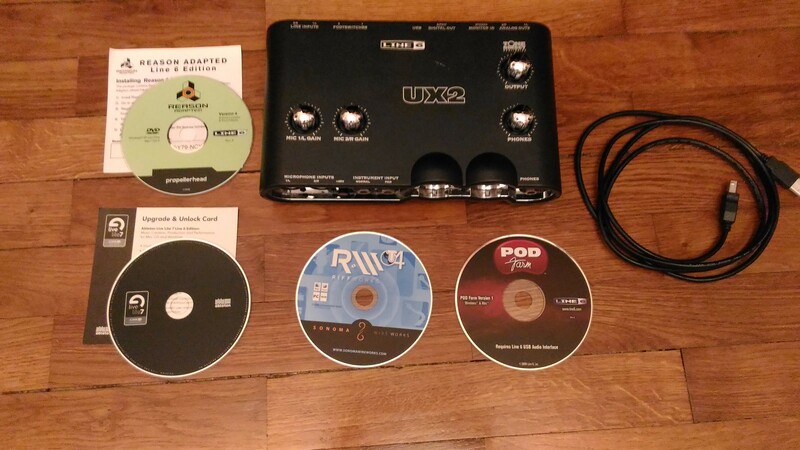 In the beginning it was just unbeatable regarding ease of use, coherency and performance, even with small computer systems (at that time). But competitors also exploited their talent and creativity. Reason is still a great solution to pre-produce my projects. Even on the train on my way to work I can quickly capture my ideas. - Which feature do you like best? Â° I like the coherency, the ease of use and the versatility (comprehensive and creative routing possibilities). It's like when I started playing Lego as a child and couldn't stop anymore. I do a lot for pre-production and Reason can manage virtually every task. But Reason is not only a good toy for pre-production, you can keep everything you did during the final production using Rewire in your DAW. Â° More precisely I like especially the REGROOVE engine that allows me to create great patches and grooves, the new Midi sequencer that makes almost everything possible, the "Reason Electric Bass" extension (not included) that sounds incredibly authentic, both arpeggiators that make everything possible, the Randomiser and Alterner function, the pattern creation (which can lead to amazing results), and the high-quality Subtractor and Thor virtual synths. - Which special feature do you like the least? Â° No audio recording function, no integration of external plug-ins and Midi modules, which means that Reason must be used as the slave of a DAW. However Rewire is very well implemented in Cubase and Logic (but you'll need a powerful computer). Nonetheless it's somewhat elaborate. It's a waste of time and it'll give you headaches. I don't understand why Proppelerhead still doesn't offer Reason as AU/VST instrument. Â° The main turnoff is the quality of the effects (compressor, distortion and reverb), far below the quality of Apple's Logic plug-ins, which is not much more expensive. - Did you try any other models before buying it? I tested Fruity Loop. But Reason was much better. Fruity Loop has changed a lot ever since. I also used Cubase in 2000, which I found very unreliable with my Win XP PC. I then bought Logic Pro and I like it very much. However I still use Reason regularly for pre-production. I know it very well after so many years..
- How would you rate its value for money? Quite good. I've been owning it since 2001 and the updates weren't expensive. But Logic Pro's current version is not expensive compared with Reason and it's much more professional in many aspects. However Reason is still a very good product and it allows you to do things that you can hardly do in Logic or Cubase. On top of that Reason is so intuitive that it increases your creativity. - Based on your experience, would you buy this product again? For sure! 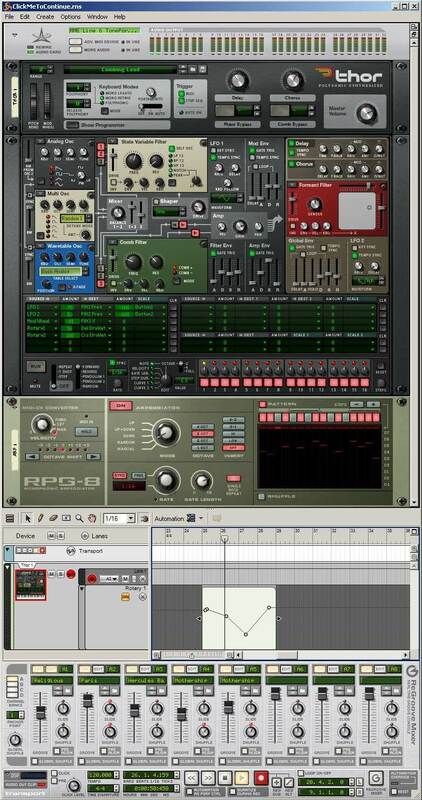 I don't regret the eight years I've spent with Reason and I still use it every week. It's sort of an audio Lego that allows you to achieve professional results if you know how to insert it in a larger production environment. Nevertheless, I cannot rely solely on Reason for my music. Not a single problem with the install. I haven't tried any refills yet but I would imagine they would work great too. I have a mac laptop, there were no compatibility issues. I have Logic 8 also, and in comparison, Reason is not as simple in configuration or setup. Infact, when I first used it, I was fairly confused. Logic's interface is just so damned easy that I feel I was expecting more out of this program. What I can tell you though is once you get the hang of it, its a piece of cake. The manual is good enough. Its pretty lame though that the program doesn't have a help tab built in, I guess its just a convenience issue though. I definitely had to reference the manual a lot so that would have been nice. What really helps when learning the ropes is downloading the tutorial videos made by the guys who made reason. Then if all falls into place and thats when the fun begins. I have a Macbook with 2.2ghz, 4gb ram, and I use a presonus firebox/firepod for my interface. So far the software works flawlessly with my setup. No crashes and great sounds! I am going to give this a 10 for performance. Lots of options built in with the factory sounds. So many that the refill's have yet to interest me. I should mention that this is not an open program in the way of plugins. You have to use reason plugins, thats all you get to the best of my knowledge. I have been using this program for about 2 weeks. What I like most about Reason is how fun and easy it is once you break the learning curve. It becomes very accessible and an amazing tool for ideas and writing loop based music. The synths in it our pretty damn sweet too! What I don't like is the limitations on plugins. As I mentioned before, Reason plugin's only. I have some great Absynth patches that sound so great with some of the synths in reason, but I have to bounce the reason stuff down into aiff files and send it into Logic to pair the two programs together. Do not let advertisements and other things of that sort confuse you, this is not a DAW! This is a electronic music sequencer just like Audio Fanzine says. For the same price you can get Logic 8 which in comparison, blows this program out of the water. But, if you can afford both, like writing loop based music, and are not afraid to be a little daunted at first, this might be for you. I would definitely make the same choice, its just so much fun. 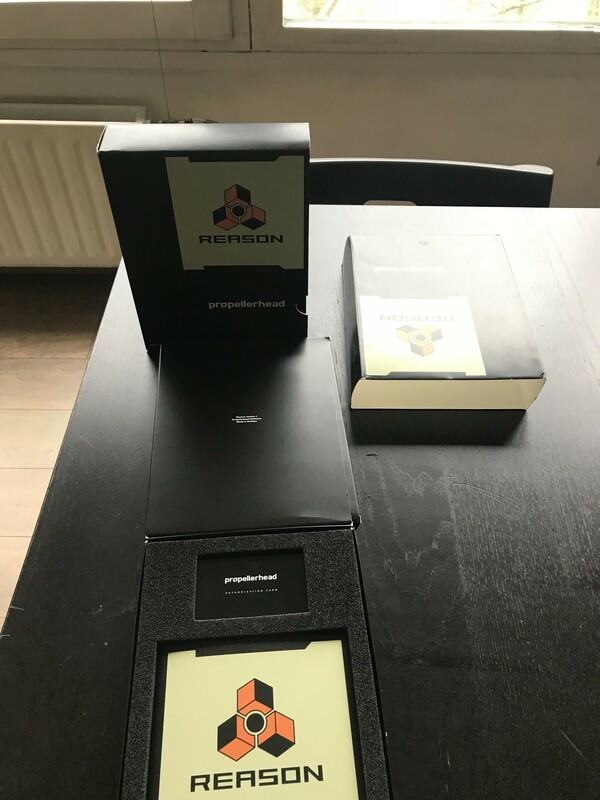 Propellerhead announced that it is releasing three new software bundles — Reason Premium Edition, Studio Combo, and Rhythm Combo. Reason refills not opening in sampler - PLEASE HELP! !